Everyday we come across hundreds of news articles related to Technology, Politics or World Economy. But due to busy schedule many end up as Bookmarks for later reading. There are many Social Bookmarking sites like Delicious.com which help Bookmark websites online, so that we can visit website for later reading. Here is yet another tool designed for Apple iPhone users known as Page Saver. 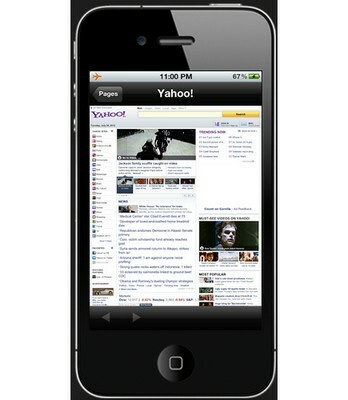 This simple app will save webpages in Apple iPhone for offline reading. A single Tap will download the entire webpage along with images to iPhone. You can then easily find and browse webpages using the in-built web browser. If you are a frequent traveller and left without Internet Connection many times, Page Saver is an app specially designed for you.